Following right behind Google’s announcement of the Galaxy S4 Google Edition, it seems HTC is considering a stock Android variant of the One for release in the US. HTC certainly put their best foot forward with the HTC One. It’s a beautiful, fast smartphone with incredible speakers and a decent camera. While we can sit here for hours and debate whether or not the HTC One is a better phone than the other really great phone on the market right now, the Samsung Galaxy S4, it can’t be denied that the One is the best thing HTC has made in a while. It’s still not for everyone, especially if you’re one of the now more than 5 million strong who prefer their Android have a little more Google in the software department. To address this growing niche, multiple sources are now claiming HTC has a build in the works for a vanilla HTC One running Android 4.2.2. 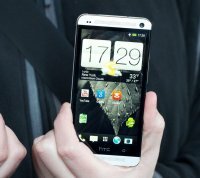 HTC’s developer arm has worked long and hard at building strong relations with the Android modder community. Their efforts with the HTC Dev program, including an unlock mechanism to make it easy to flash custom software is to their credit, but the fact remains that if you want Google’s vision for Android on your HTC phone you’ve got a little bit of work ahead of you. The positive response to Google announcing a vanilla Android phone that wasn’t a Nexus was likely all the push that was needed for the conversation surrounding a vanilla HTC One to become a lot more serious inside HTC, leading to sources now claiming that a US launch of such a phone is now imminent.